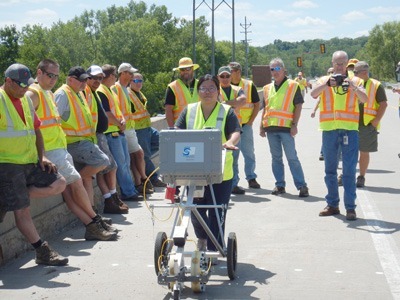 In addition to providing NDT and Geophysical consulting services, Olson Engineering offers classes to share our wide range of expertise in performing nondestructive testing and evaluation and geophysical investigations. The training includes data analysis and interpretation of the results. We conduct classes in any area of NDT&E or geophysics of interest. Primarily, these instructional classroom or in-the-field tutorials are for contractors, engineers, geologists or geophysicists who want to learn more about what can be done (i.e., applications), what cannot be done (i.e., limitations), and how to do it right the first time. Classes can be held at a client's site or office, or at our offices in Denver metro, Colorado or Washington DC (metro). Additionally, instruction and training for new NDT instrument owners is available through Olson Instruments. Many of our senior staff are accredited to provide Professional Development Hours (PDH) or Continuing Educational Units (CEU) for attendees. 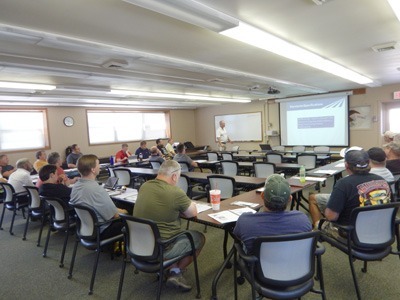 Annually, Olson offers a 3-day NDT & Geophysics training seminar at our Denver (metro) office. For further information regarding cost and availability to conduct training, please contact us.